Between The Buried And Me aren’t ones for standing still. Constantly evolving their sound, the North Carolina five-piece’s brutal blitz of gung-ho riffery of the early 2000s has shape-shifted over the last decade into a more daring, progressive sound, showcased by the bold Colors and Parallax II. And when the prog metallers released their brilliant seventh album Coma Ecliptic in 2015, things were done a little differently, with dialled down song structures allied to more clean vocals, in addition to a ‘rock opera’ tag that no doubt struck fear into their more burly followers. So how could they move forward this time? 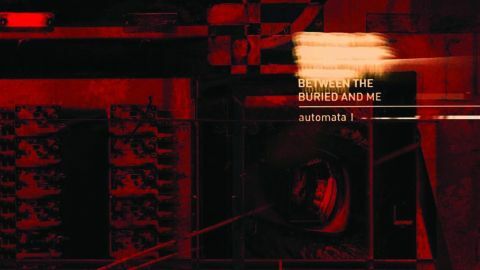 Automata I is the first part of a double LP – chopped in two in an attempt to ensnare today’s more fickle, shuffle-led listener – and it runs with the concept of dreams being broadcast for entertainment, kind of like a Black Mirror for the prog world, with the story largely taking place inside the protagonist’s mind while asleep. The musical progression is clever, subtle yet noticeable. Opener Condemned To The Gallows is more typical, with a swaying acoustic intro and keys merging into a number of kaleidoscopic riffs, vocalist Tommy Rogers juggling cleans and screams with swagger. But it’s the other five songs that pique the interest. House Organ, a slender, less-than-four-minute track, opens with jagged riffs, then plunges like a North Sea wave, motifs cunningly chucked in from the previous tune, but it’s supremely melodious and dreamy too. Yellow Eyes finds guitarists Paul Waggoner and Dustie Waring exuding both finger-frenzied leads and apocalyptic riffing as bassist Dan Briggs and demi-drum-god Blake Richardson trade artillery fire. While it may not grab you by the throat, it’s still a rollicking ride. Millions is perhaps the biggest surprise, a snappy song feeling like an indie rock tune gone twisted, and the thrilling Bolt acts as a grenade lobbed in to awaken the senses and conclude part one on a cliffhanger. This still sounds like Between The Buried And Me, and their desire to march into fresh realms has been realised as they settle into new label Sumerian. But they’ve taken an unexpected turn, one with less overt exhibitionism, with each note and soundscape more considered. Both dark and light, the absorbing Automata I is often itself is the sum of two parts, but like most double records, by the end of the 35 minutes, you’re left a little unfulfilled and impatient to explore its follow-up.